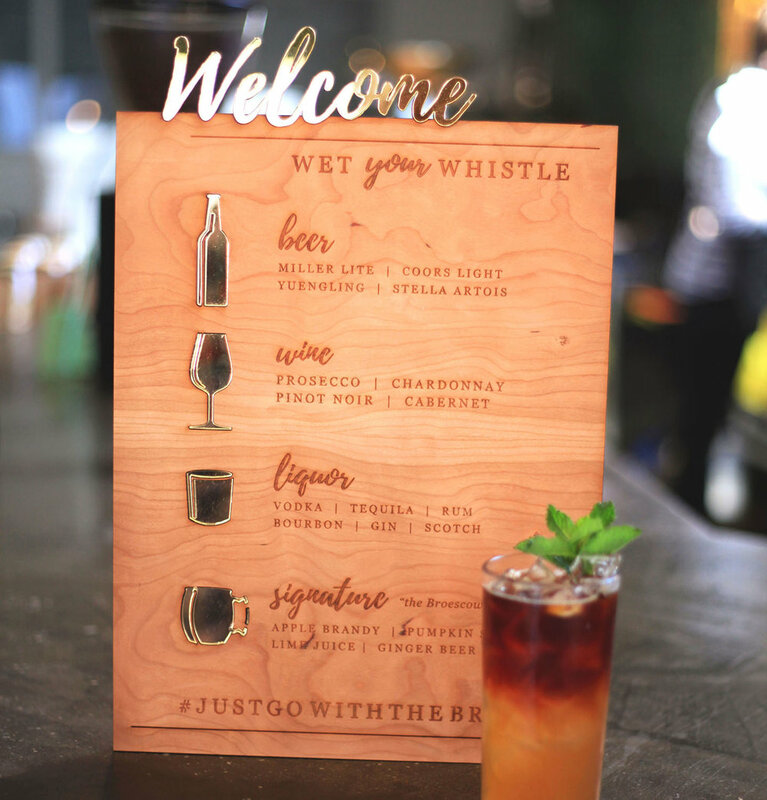 These images are examples of custom laser cut event products we have created for wedding planners, event planners, interior designers, and other businesses. Contact us today with your crazy ideas! We will make them happen. 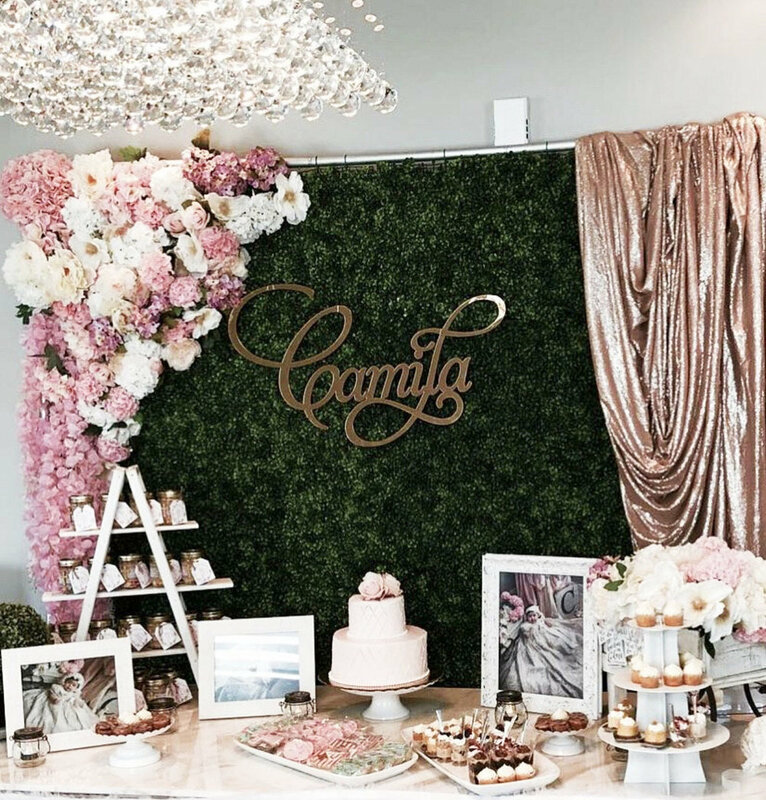 A gorgeous pink and gold dessert display table with our gold painted custom name sign. An engraved wood bar sign with eye gold mirror inlaid details for a wedding. Laser cut belly band with monogram detail for wrapping around a customer's wedding invitation suite. 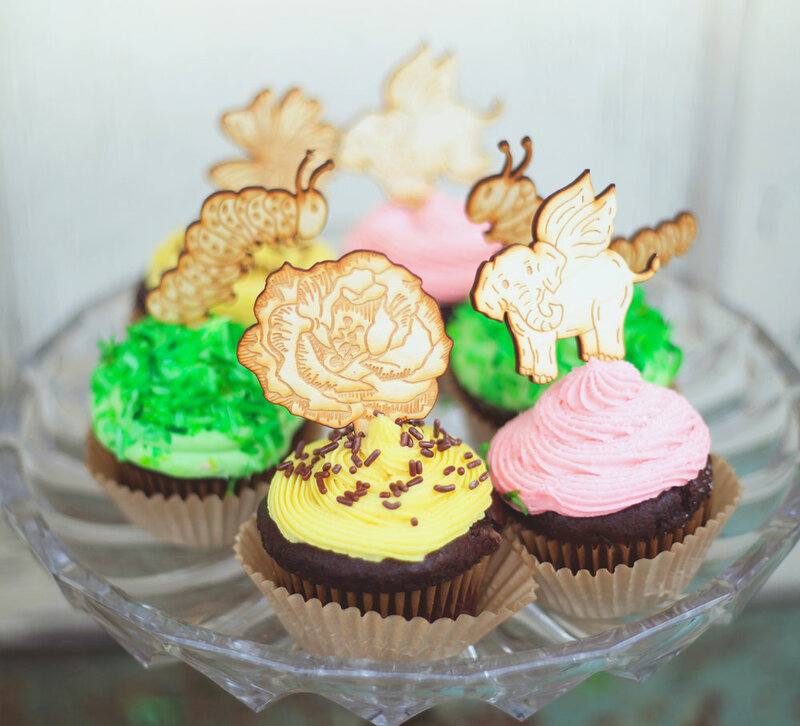 Whimsical illustrated cupcake toppers, engraved onto baltic birch wood for a special event. Clear acrylic wedding invitation, laser etched, with gold foil leaf detail. A beautiful gold mirror name sign we made for a luxury first birthday party. 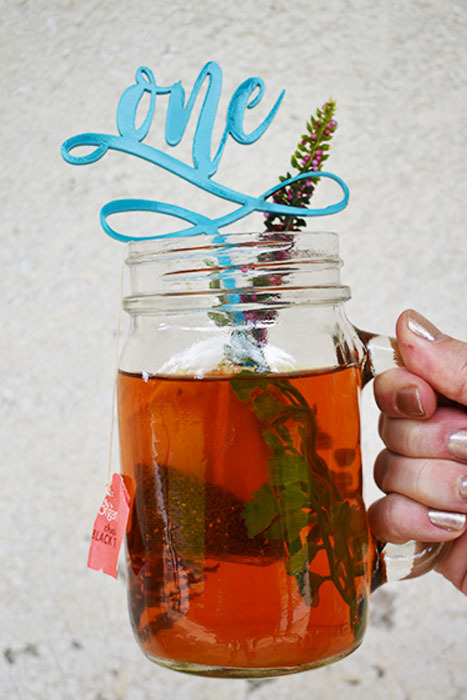 A fun "one" drink stirrer laser cut from turquoise acrylic for a baby first birthday party. 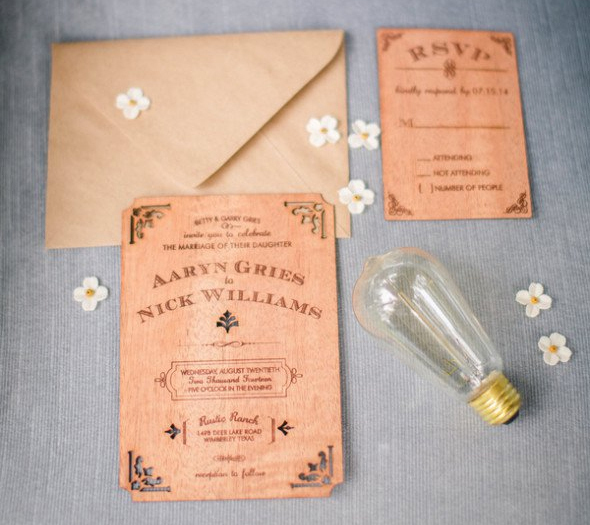 An elegant wood engraved wedding invitation. 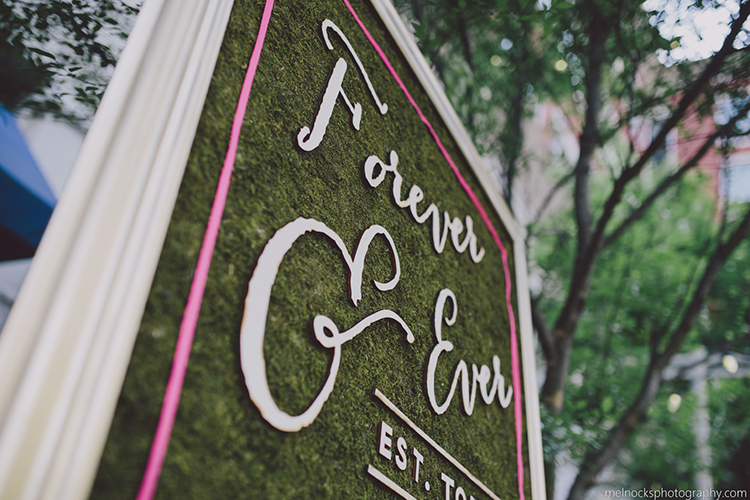 A laser cut hedge sign for moss. A cake topper we made for a photo shoot with Bespoken Weddings. Custom gold mirror cheers drink stirrers we made for a style shoot with Bespoken Weddings. Laser Cut Monogram Sign that we made for a hedge wall at a wedding. 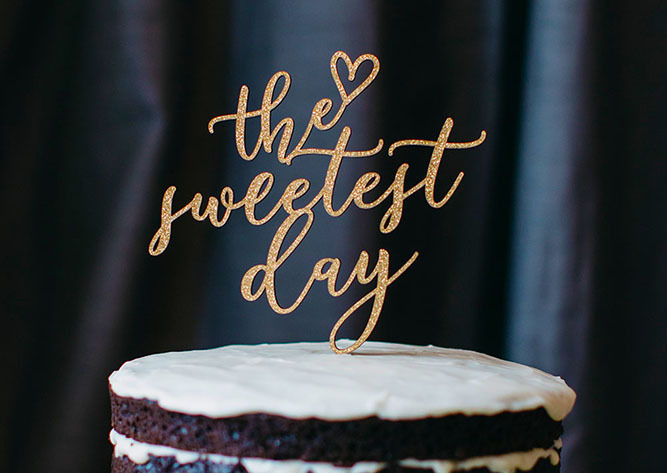 A fun wooden "best day ever" cake topper for the perfect dessert display decoration. A series of mirror name signs, cake toppers, and drink stirrers we made for a sweet baby boy's first birthday party in Hawaii. A custom laser cut monogram belly band we made to wrap around a wedding invitation. 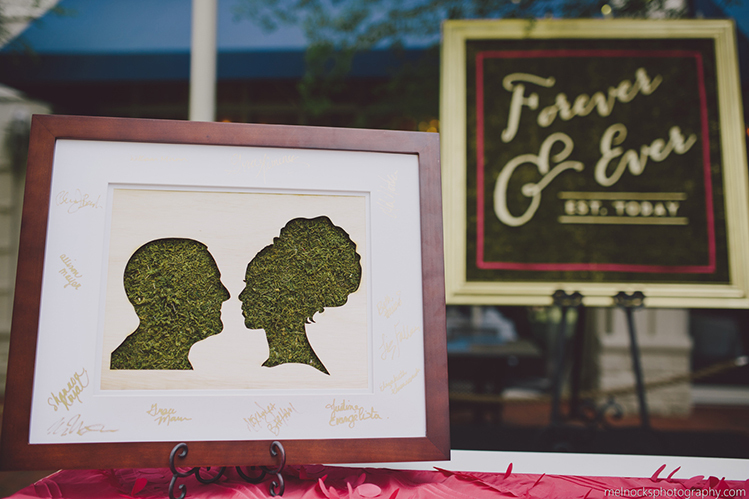 A laser cut silhouette of a bride and groom for their guest’s signatures. Individual guest names are laser cut out or gold wood. 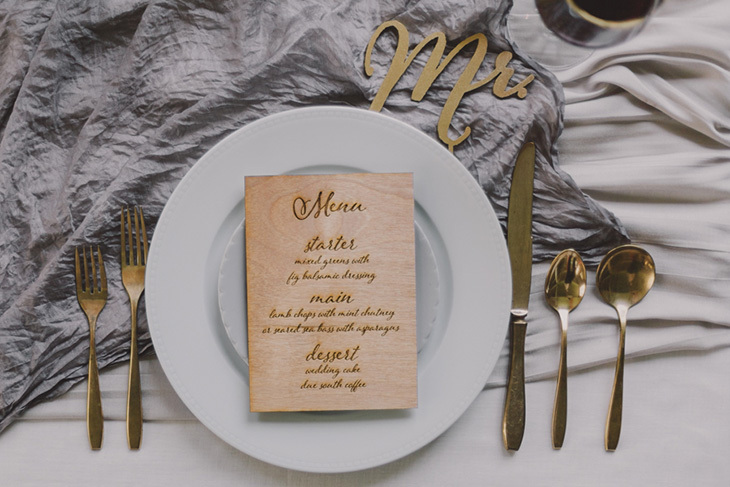 Wood engraved menus made for a style shoot with A Darling Day Photography. A laser cut table runner made for a style shoot with A Darling Day Photography.